This week I’m settling back into home after a couple of action-packed weeks in Australia. Firstly, I would just like to welcome all my new subscribers. Putting this blog together is still all very new to me; seeing people are interested in what I have to say has made my day, so thank-you! 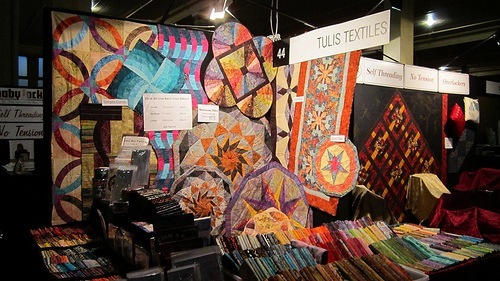 As mentioned in the previous post I have just been to The Australian Quilt Convention for 2012. The weather was beautiful and the surrounding gardens were stunning, the show itself was wonderful as always! AQC is always a highlight in the show circuit for me. 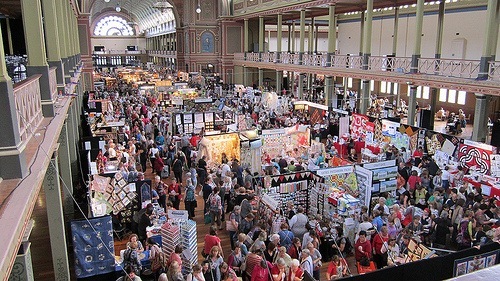 It’s somewhat different, largely because its main focus is bringing together outstanding tutors from around the world, enabling keen quilters to learn new skills and techniques, not just the quilt show and exhibitor stands. 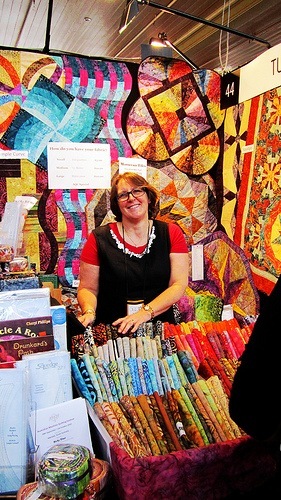 With four days of classes, it’s always exciting when my quilting friends come down and show me what they have learn't. 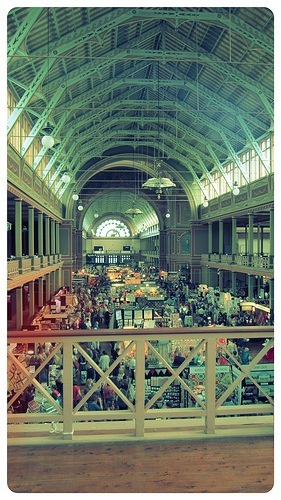 The 1 metre and half metre pieces I took this year, did much better than I anticipated. 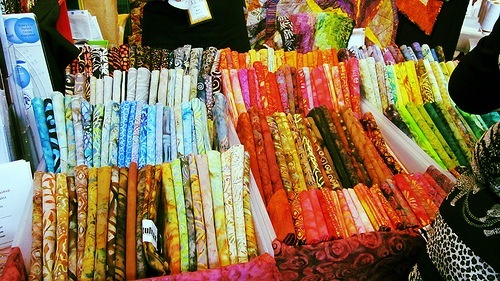 I was surprised at how many people said they would actually prefer to buy larger pieces rather than fat quarters. That’s why I have decided that I will stock these sizes, at the other shows I attend. This year I was again helped out by Kim Bastiani, I couldn’t do the shows without the help I get from the lovely ladies I’ve met over the years. 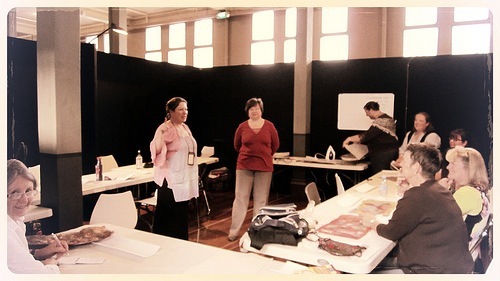 At every show; I do a workshop showcasing new and interesting tools, that people may not have seen before. The workshops are great because the stand is not the most convenient place to give complete demonstrations; they also allow me to answer questions people may have. 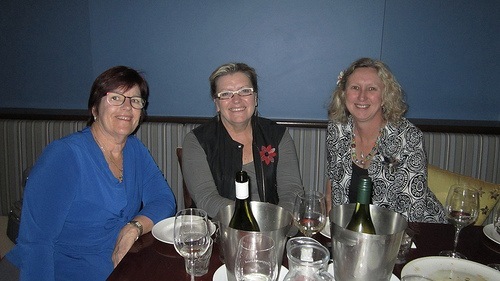 It's always a pleasure to see the ladies that come and listen to me time and time again. 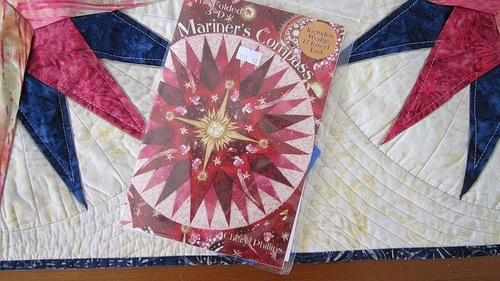 This year my workshop was on The Folded 3D Mariner’s Compass, a Phillips Fiber Art product. It’s a pattern and tool set that enables you to put together a Mariner’s Compass without foundation paper. People just loved this product; we sold over 80 in the four days. 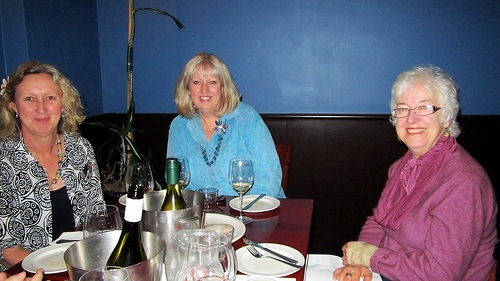 On the more social side, I had dinner on Lygon Street with some of my friends, who had flown in from around Australia for the show. 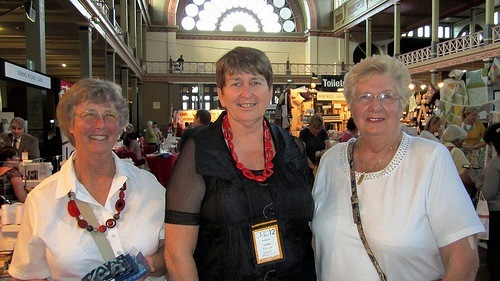 I've met these ladies over the years through quilting and we always have a fantastic catch up whenever possible. Since AQC is over for another year, it's time to focus on what is coming up in the rest of the year.